I’m not a fan of crowds. Yet despite this, I’ve celebrated New Year’s Eve in Times Square and attended Oktoberfest in Munich. There’s really no way to partake in these once-in-a-lifetime events without enduring hordes of people, so it’s just something you have to put up with for the sake of the experience. New Year’s Eve in the heart of New York City turned out to be a great experience, though one I’d never do again. I was a little hesitant about going to the official Oktoberfest in Germany, but it turned out to be a memorable event that I’d actually consider attending again in the future! The St Patrick’s Day Parade in Dublin, is also one of those events I’m glad I experienced in my lifetime, but I never need to do it again. 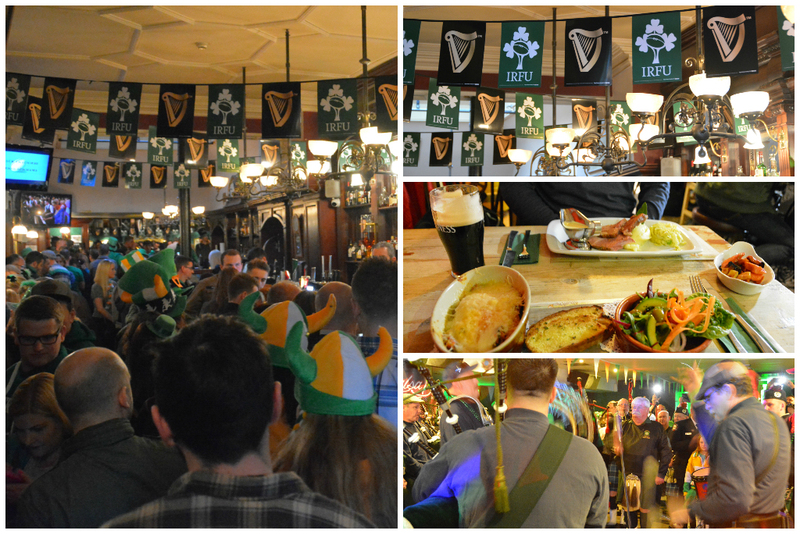 I wouldn’t go so far as to say I wouldn’t recommend it to others, but I’d like to share my experience with you, so that you can make an informed decision about spending St Patrick’s Day in Dublin, Ireland. 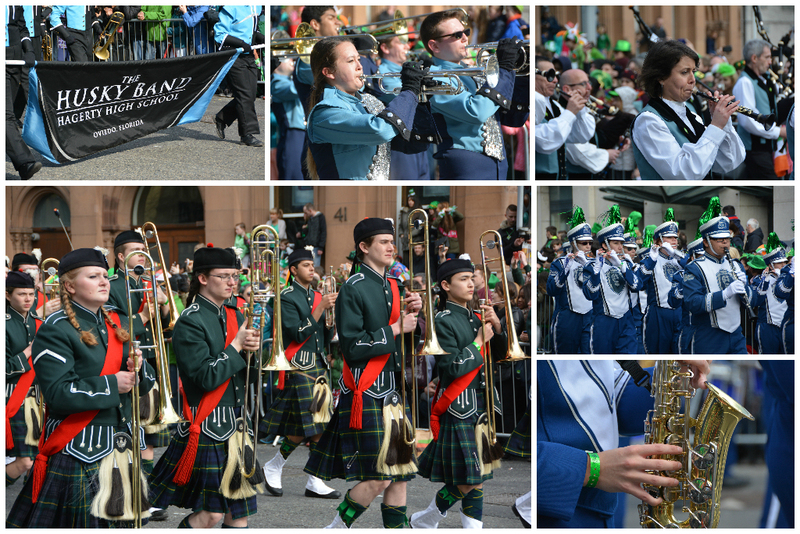 To be fair, we only experienced the St Patrick’s Day Parade, a very small portion of the entire 4-day festival. 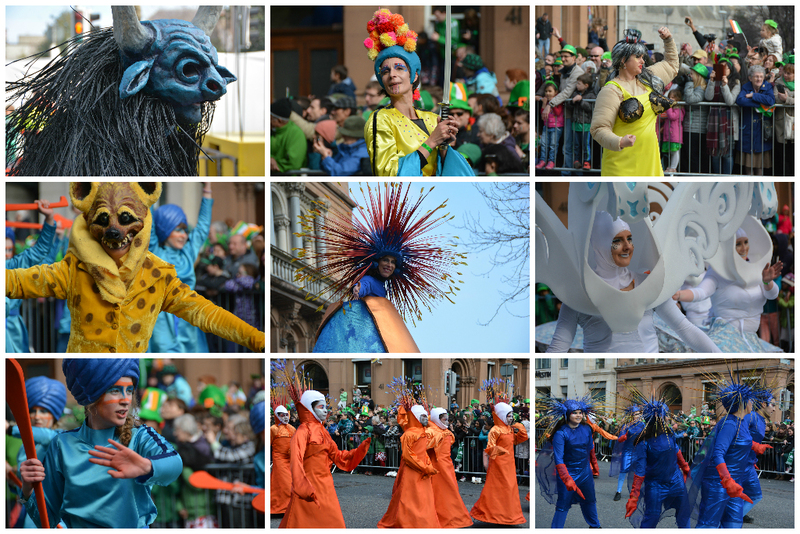 The St Patrick’s Day Festival in Dublin includes a Celtic Dance Festival (Festival Céilí), Festival Treasure Hunt, Carnival (Festival Big Day Out), 5k Race, and several live music events throughout the city. Because Sam and I aren’t too keen on crowds, we decided that one day in the capital city of Ireland during its most festive time of the year would be enough. 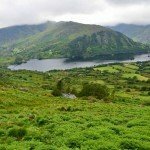 We only started planning our trip to Ireland about 2-3 months ahead of our scheduled arrival, so when the time came to book lodging, prices in the city center were through the roof. We ended up renting a private room through AirBnB just outside of the city and taking a train in for the day’s events. Because we weren’t sure quite what to expect, we got an early start on the day! Assuming the trains would be crowded and people would start queuing for the parade hours before its commencement, we didn’t want to travel all the way to Dublin to not be front and center for the parade. The Dublin parade route is almost 2 miles (>3 km) long. It starts at Parnell Square and wraps up just beyond St Patrick’s Cathedral on Patrick’s Street. 4,500 barriers line the route to corral the 500,000 spectators who gather to take part in this annual tradition. We secured our front row spot at the corner of Westmoreland Street and College Street and looked down at our watches- 2.5 hours to go. As time went on, the crowd closed in around us and our once-comfortable location became jam-packed with hundreds of visitors, several of whom were smoking… constantly. The smell of cigarette smoke is downright offensive if you’re not used to being around it, so that didn’t exactly help us feel at ease waiting for the parade to begin. Keep in mind, even though the parade had a set start time, we were quite a ways from Parnell Street, which would mean it would still be a while for the parade to get to where we were standing. Finally, our waiting came to an end! After approximately 3 hours of waiting, Saint Patrick himself (ok, well a St Patrick impersonator) came to greet the half a million people lining the streets of Dublin. 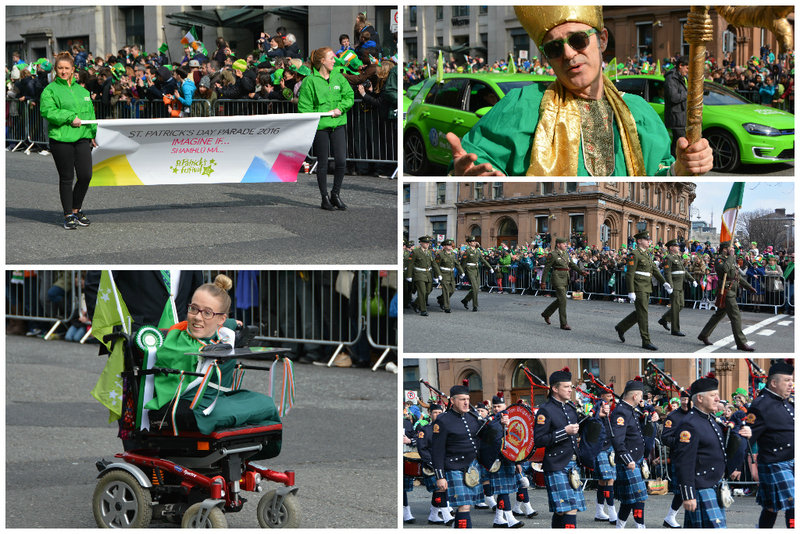 Joanne O’Riordan, a disabled rights activist, born without arms of legs, served as the cheery Grand Marshall of the 2016 parade. Besides the Dublin Fire Brigade Pipe Band and another bagpipe band from Pennsylvania, there were really no other ‘Irish’ bands or traditional Irish performances. Much of the parade was made up of high school and college marching bands, primarily from the United States. There was even a high school there that’s located down the street from where we grew up in Florida! 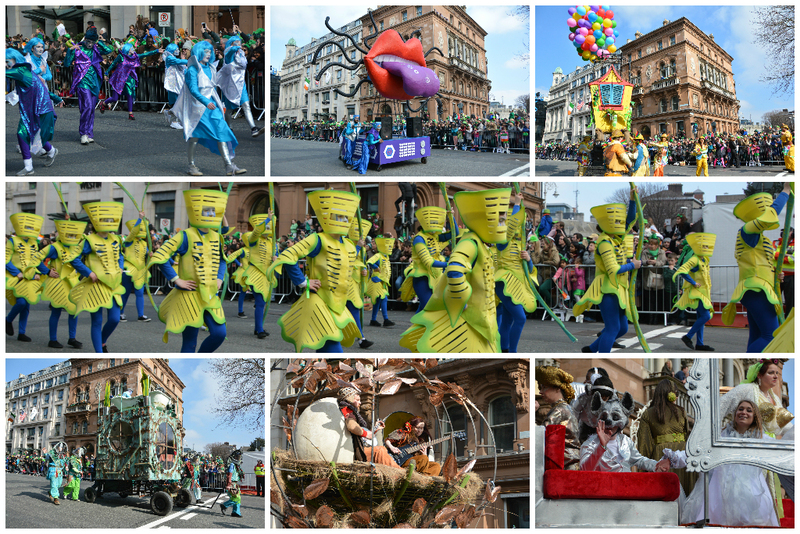 Turns out it is a huge honor to be invited to come and perform in the Dublin St Patrick’s Day Parade, but as American visitors, we were hoping for a little more Irish flare in Dublin. At least one troupe of Irish dancers would’ve been nice. Accompanying the marching bands were various color guard groups who proudly twirled their flags to the beat of the music. 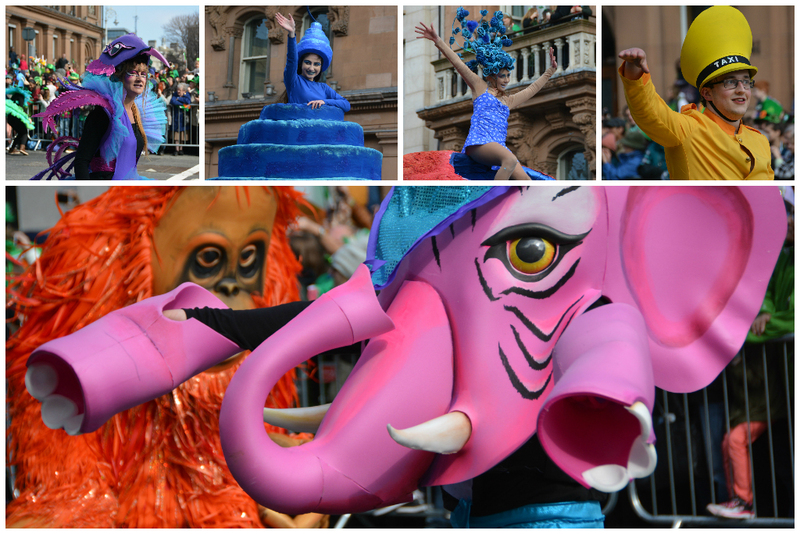 Besides the marching bands and flag corps, the rest of the parade was made up of colorful and imaginative floats following the celebration’s theme Imagine If. It was the final chapter in a 3-year theme of Past (2014), Present (2015), and Future (2016). The vibrant costumes ranged from funky and unique to downright bizarre, and to be honest, it was pretty delightful! I don’t want to give the impression that we completely disliked the St Patrick’s Day Parade in Dublin. Again, it was the only aspect of the 4-day festival that we participated in and it was just a little more ‘Americanized’ than we were expecting. We were simply hoping for more local and traditional song and dance, but I guess that’s the focus of the Celtic Dance Festival that we unfortunately missed out on. 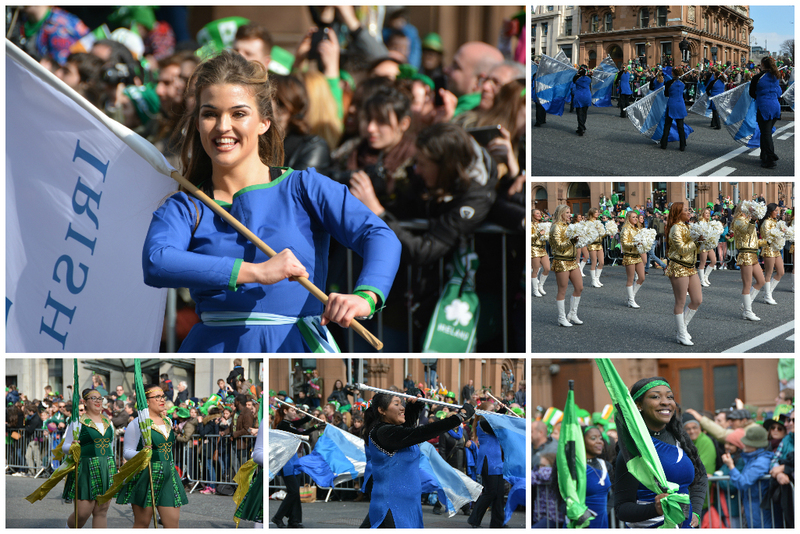 For information on this year’s 2019 St Patrick’s Day festivities in Dublin, click HERE. … and that’s when the St Paddy’s Day celebrations really begin! Restaurants and pubs are packed to the gills. Live music and bag pipe jam sessions take place in various pubs across the city and the atmosphere becomes quite electric! On average, 5.5 million pints of Guinness are consumed each day around the world. On St Patrick’s Day, that number rises to 13 million pints and I would guess that half of that consumption takes place in Dublin! If you plan on visiting the Guinness Storehouse while in Dublin on St Patrick’s Day, be prepared… it’s their busiest day of the year! 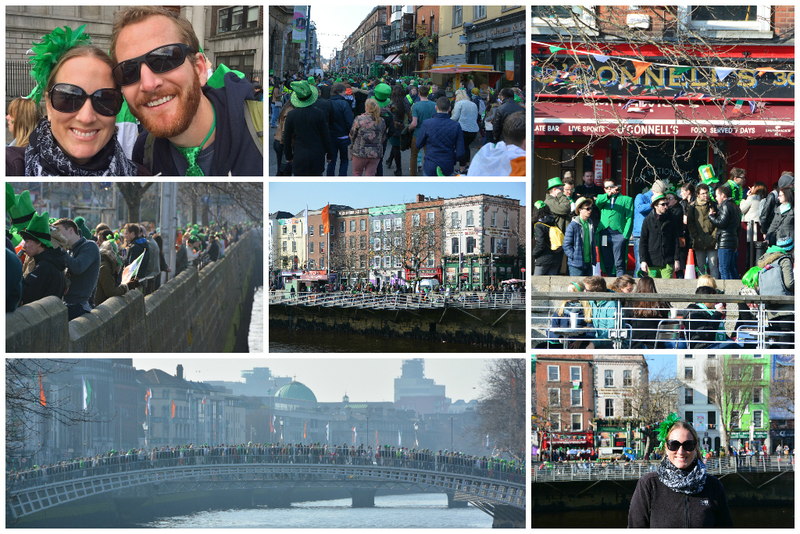 Of the 500,000 people that pack the streets of Dublin on St Patrick’s Day, over 100,000 come in from overseas for the celebration. For many, it is their first visit to Ireland, and because of this, St Patrick’s Day officially kicks off the ever-expanding tourist season in Ireland! You see, we didn’t take off as soon as March 17 ended; we stuck around for another 3 weeks exploring the absolutely beautiful Emerald Isle. And this was our second visit! 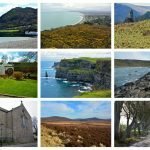 (If you’re planning your own trip to Ireland, please check out our plethora of Ireland articles.) All said and done, we don’t want to give you the impression that we completely despised spending St Patrick’s Day in Dublin. It truly was a once-in-a-lifetime adventure that we’re grateful we had the opportunity to experience. In hindsight, we simply wished we would’ve skipped the big commercialized celebration for more of an authentic small Irish town celebration. So… we gave it another go! We went back to Ireland again for St Patrick’s Day 2017 and this time spent the day in the small town of Dungarvan! It was neat to compare the differences between the big time celebration in Dublin and a small town celebration elsewhere in the country. One of these days we’ll get around to writing about that experience. Sláinte! 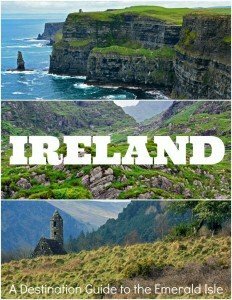 I am looking to visit for St. Patrick’s Day 2018. Thank you for the amazing feedback on your experience. I can most definitely agree on your Time’s Square for NYE comment. Great 1 time experience. :) I grew up in Oviedo and completely forgot about the newly added HS/rival to my Alma Matter! It is so cool that they were able to perform all the way in Ireland. Great article from a fellow Floridian! Awesome tips for navigating such a large event. How was transportation out of the city? Also, were prices hiked up in bars as well? I am mentally comparing price hikes for Oktoberfest beer tents in Munich. Hello fellow Floridian! 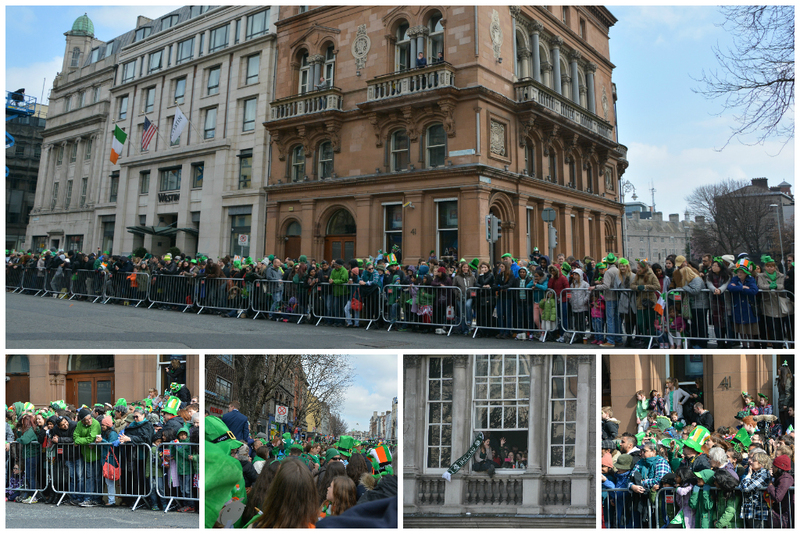 Transportation in and out of Dublin on St Patrick’s Day was crowded, but not unmanageable. We stayed a little outside the city and trained in and as we got closer to Dublin, the train got much more packed as more people piled in. I believe everyone knew it would be crowded and people seemed to have a great attitude. I don’t think they hike up prices in the bars, but I’m not 100% certain. Nothing seemed too unreasonable. Regarding Oktoberfest in Munich, it’s free to get into the tents, though it costs to make a reservation months in advance if you want a guaranteed seat. The beer prices are standard (about 11 Euros per liter-stein, as of 2017). You can check out our Oktoberfest post – https://forgetsomeday.com/oktoberfest-tips-munich-germany/, which may answer some questions you may have. Of the two celebrations, we much preferred Oktoberfest in Munich over St Patrick’s Day in Dublin, but both are neat to do at least once in your lifetime… like NYE in Times Square! Hoping you have a great time at these events! Your reaction to SPD in Dublin is similar to mine about NYE in London. It was a great experience, but not one I’ll crave again (unless I’m waiting fireworks from a front-row hotel room balcony, haha. We’re thinking about heading up to Ireland, but I’ve done Dublin and have no desire to go back. I prefer the quiet and hospitality of County Kerry and Killarney, but I’m still looking for that perfect location for this year too. What did you end up finding for 2017? Hope you loved it! Yea, I did NYE in Times Square and that was a definite once-in-a-lifetime experience, meaning I never need to do it again! (Unless, like you said, I’m on a balcony overlooking Times Square with access to a heater, bathroom, and food!) We went to Dungarvan, Ireland for SPD 2017. It was definitely small town and the parade was very local (school groups and small businesses). The fireworks the night before SPD in Dungarvan were nice. I still haven’t gotten to experience Irish Dancers in Ireland yet, but there’s always a chance for a 4th visit! 🙂 We sure do LOVE Ireland! Hello, very interesting post and would love to get some feedback and help from you, as you experienced the whole thing, see, we are trying to go on 2019, so not sure how to plan this, like, arrive a day or two before, we are from Chicago, so we’ve done the City’s parade and dying of the river and as a group of friends we have decided we want to go to the parade and enjoy time in Dublin, My Wife and I have been in Dublin and loved the city, it’s people, everything. Also, I been looking for info on next year’s event, so we’d like to know too, where is the best spot to watch the parade, when does it happen, our plan after watching the parade, and getting something to eat we would like to then head out to a pub after, like Temple Bar area, AirBnB wil deff be our option to stay. Any Feedback? Of course we’d like to do a few things like Guinness Store again, and possibly go to Moher as a one day trip… Thank you. Oooh, we hear Chicago has a great St Paddy’s Day celebration. 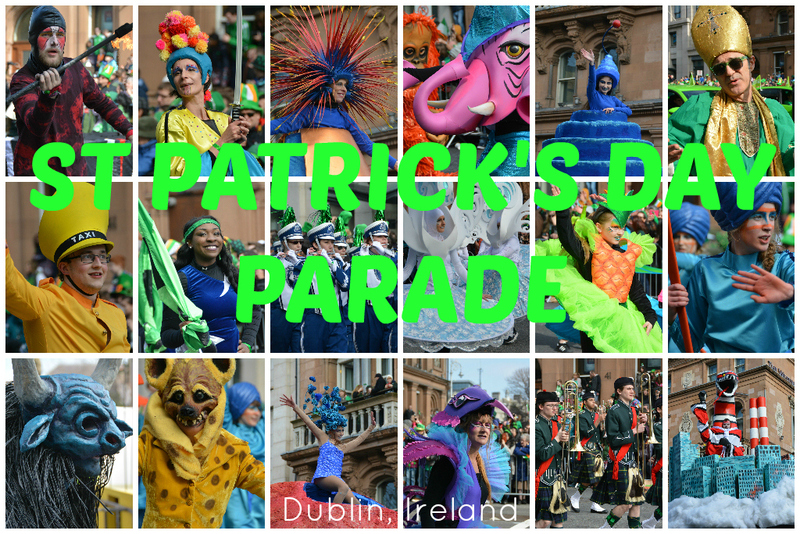 It’s neat being IN Ireland for St Patrick’s Day, but as you read in our post, we were slightly disappointed in the Dublin festival. To be fair, we only experienced the parade, whereas as the festival goes on for a few days. So, maybe to have a better experience than we did; try to attend more events than just the parade. This is the main site for the festival happenings – http://www.stpatricksfestival.ie/ and while I understand you’re not planning to visit until 2019, this may give you some guidance in planning your stay. Know that the Guinness Storehouse will be insanely busy during the days surrounding St Patrick’s Day, as will the Temple Bar area, but if you’re prepared for the crowds, you’ll be just fine. Cliffs of Moher are absolutely worth a visit and can be done in a day, if that’s all the time you have – https://forgetsomeday.com/day-trips-from-dublin/. 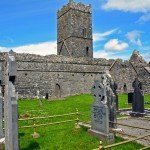 Be sure to check out more of our Ireland content – https://forgetsomeday.com/travel/ireland/! 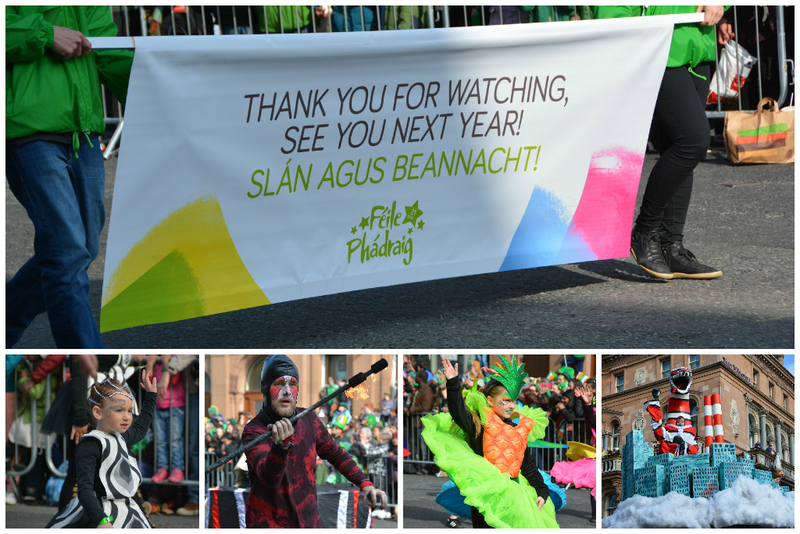 Hopefully you received the e-mail I sent you just before St Patrick’s Day and were able to catch the LIVE stream of the parade on Tourism Ireland’s Facebook page. It looked pretty cool and windy in Dublin this year; though I hope your daughter had a blast! I hope you are able to make it to Ireland in the near future. Come back and visit our site when it’s time to plan your trip. We’ve been 3 times for a total of close to 10 weeks. We’ve been all over the country and can definitely give you some pointers!